Possibly the best ever Thomas & Friends Trackmaster train set. 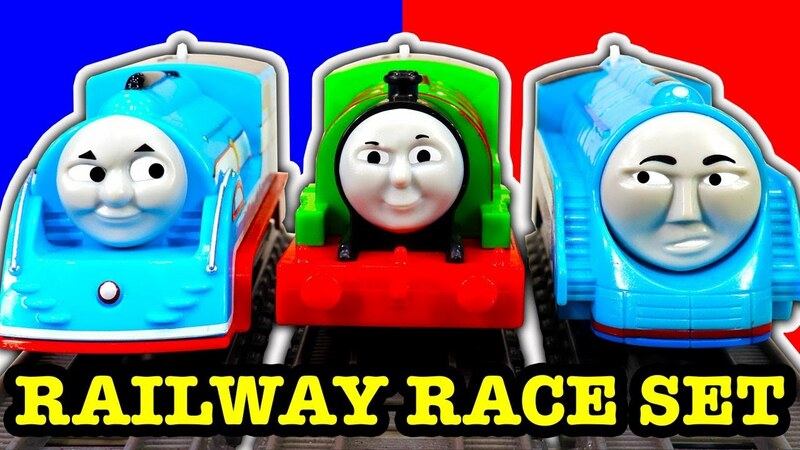 The Railway Race Set sets Streamlining Thomas against Racing Percy (both exclusive engines) on a racing track with breaking bridges, fast set curves and a fireworks and flags finish line. 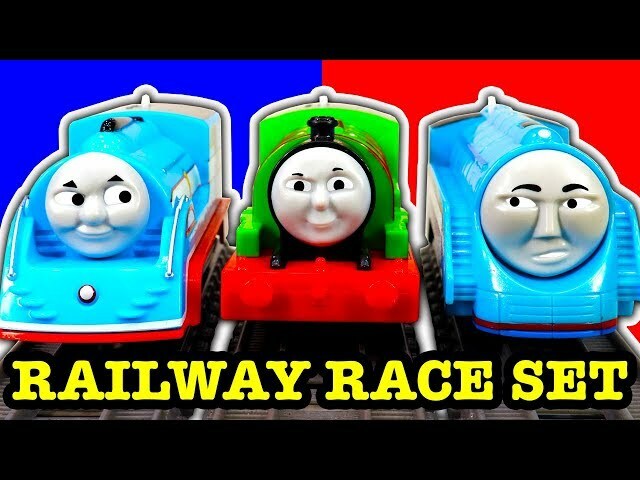 This is toy train fun at it's best and could possibly be one of the best toys I have reviewed on my YouTube channel in the last 12 years. I started to see what caused Thomas or Percy to win, and it seems the inside track has a huge advantage. So I added some small track pieces to make the racing even tighter. This playset works with tender engines and sure Shooting Star Gordon is eager to race. But the absolute best fun is putting the Trackmaster 2 Streamlining Thomas against the beautiful TOMY High Speed Streaming Thomas. Then the strangest racing can begin. I'm very late in looking at this toy, it was late into Australian retailers and Google / YouTube has caused much grief to my YouTube channel over the last year. My advice is if you see this Thomas toy, buy it and put it under your bed as a future toy investment that's better than GOLD. If you see the TOMY Streamlining Thomas toy that's an absolute buy, best Thomas toy ever. Thomas and Friends, "Томас и его друзья" "Thomas y sus amigos" "Thomas und seine Freunde" "きかんしゃトーマス" "토마스와 친구들" "Thomas et ses amis" "thomas dan teman-teman" "थॉमस और दोस्तों" "Thomas ei suoi amici" "โทมัสและเพื่อน ๆ" "thomas e seus amigos" "Thomas och vänner" "托马斯和朋友" "Thomas og Friends" "Thomas ve Arkadaşları" "توماس والأصدقاء" "Thomas và các bạn"
Thomas the Train, "Thomas el tren" "Thomas le train" "トーマス電車" "토마스 기차" "Томас поезд"" Thomas o trem" "Thomas kereta" "Thomas der Zug" "Thomas ang tren" "Thomas vlak" "托马斯火车" "توماس القطار" "Thomas a vonat" "Thomas tàu"